This is absolutely gorgeous Louise! Wonderfully done!! Wow!! Splendid work Louise!! ...what wonderful idea! I loved it!! Thank you very much Paulo! Thanks for the 'Wow' Tamer. Thank you Jennifer, I think Paint Horses are a bit like potato chips....you can't have just one! 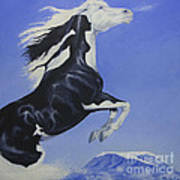 Great Painting - Love to see the black and white paint horses. We used to have two of them, but they were old and both of them passed away last year. The black and white horses are flashy! We have two brown paint horses now - one of them with two blue eyes. You're right, we love paint horses too, because no two are alike. Thank you very much Chaline. 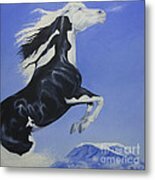 This painting represents my interpretation of the Horse Goddess Epona, a blending of the feminine figure within what appears to be a masculine horse, the woman's silhouette in black combined with the white of the horse, yin & yang. Her hand & hair flow into the mane like tree roots, she is part of the earth, yet also the air - mythical, magical, but also a part of Mother Nature. Look on top of the mountain - for the snowline is in the shape of a horse lying on its side. My inspiration for this painting was my love of coloured horses combined with my love of fantasy. 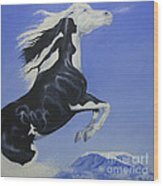 One of my own blue-eyed Paint Horses was the idea for this work. 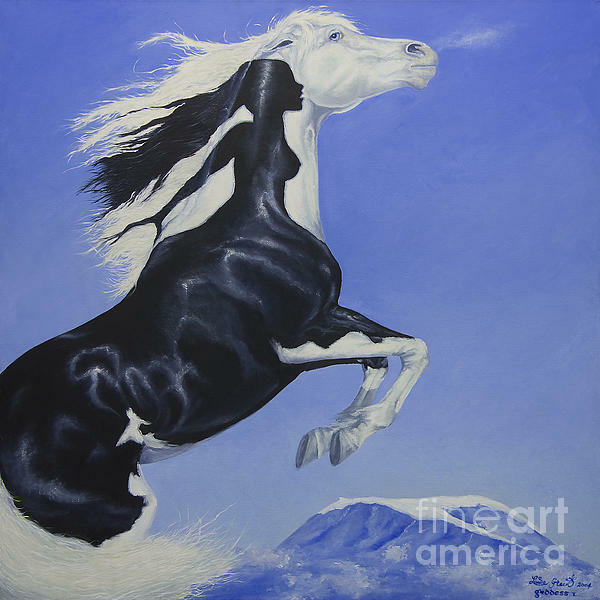 No two Paint Horses are alike, each has its own individual colour & pattern, in Paint Horse terms this horse would be known as a "splash overo" where the colour looks like it is poured over the horse. Collection of the artist. Won a Highly Commended & People's Choice Awards in Art shows. Original not available - collection of the artist.